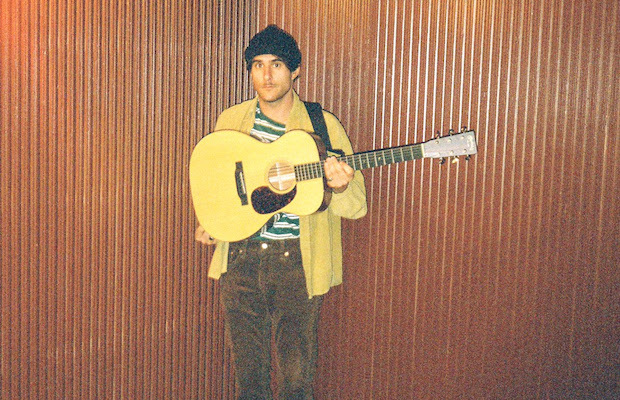 Earlier this year, HalfNoise, the indie rock solo vehicle of Zac Farro (originally, then formerly, and now once again, of Paramore), released his latest EP, The Velvet Face, a swift followup to last fall’s sophomore full-length, Sudden Feeling. Recorded here in Nashville at Pioneer Sound, and co-produced by longtime collaborator Daniel James, the EP marks, perhaps, HalfNoise’s greatest sonic shift between albums yet, reeling in from the dense, synthy polish of Sudden Feeling to capture a retro, organic, and groovy new direction, a bit of a callback to his earlier work, though certainly distinctive and perhaps more cohesive than anything else he’s crafted to date. In celebration of The Velvet Face, HalfNoise hosted an epic release show back in the spring at Lucky Bamboo, which featured Farro’s Paramore bandmates sharing the stage as part of the backing band, their first time officially performing together in years. Since then, Paramore have been busy touring the world, celebrating the success of phenomenal new LP After Laughter, but we’re excited to also see Zac still making time for HalfNoise, apparently already plotting the release of another record, and squeezing in a homecoming show tonight, Nov. 16 at intimate space The End, between time on the road with his other gig (notably, much of the live incarnation of HalfNoise has been also incorporated into Paramore’s live band). Bear in mind though: while it was super cool and special to see Farro’s Paramore bandmates back him at the last performance (which turned “Scooby” into a fan-favorite encore at Paramore shows this year), you should show up expecting nothing more than HalfNoise show, and that alone, as we’ve been buzzing about for years, is always a blast. Sweeting the deal, local grungy psych rockers and longtime sites faves Chrome Pony have been tapped to open things up. So snag your ticket, revist our podcast from a few years ago for a HalfNoise primer, and get ready to get down at one of the coolest shows of the week. HalfNoise and Chrome Pony will perform tonight, Nov. 16 at The End. The show is 18+, begins at 9 p.m. (doors at 8 p.m.), and tickets are available to purchase for $15.